With our lines of offline finishes, we place no limits on creativity and achieve the most innovative results for our clients. 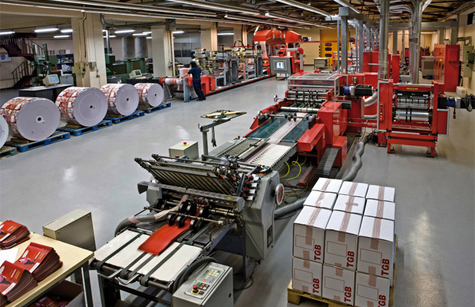 Plough-fold line for reel finishes, with shifting between several sheets of paper, with gluing and folding stations, magnetic die-cutting, a rotary cutter and crossways folding in-line. Application of inks that either scratch off or react to metal. Placement of up to 4 different removable labels, with or without personalisation on the label or on different sides of the piece. Mechanical placement of plastic cards, flyers and magnetic elements, with matching to original document. Die-cutting, fugitive and hot-melt glues. 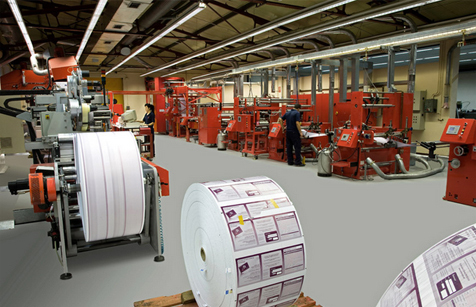 Folding in multiple formats with gluing and perforation. Synchronised feed from up to 6 reels.